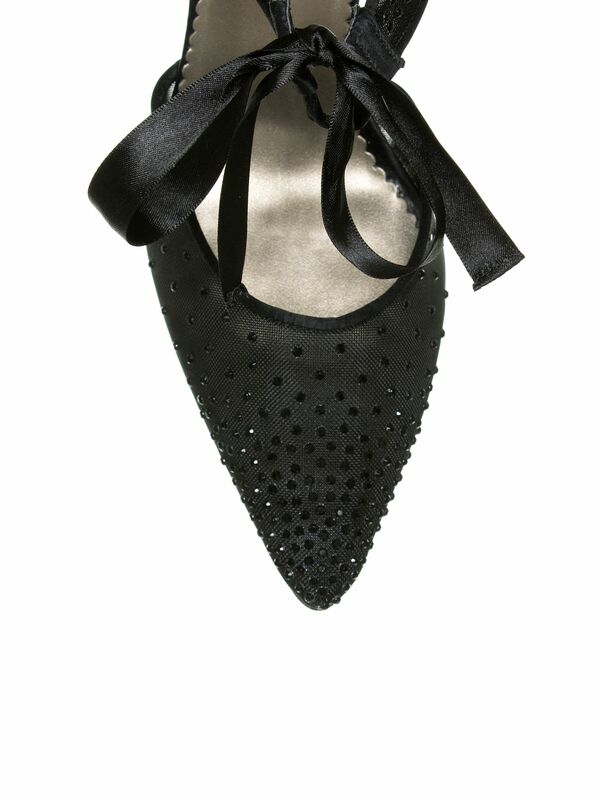 Amalia Sparkle Heel https://www.review-australia.com/global/amalia-sparkle-heel-black/RE18ACC197.REBLK001.html Sparkle like a princess in the Amalia Sparkle Heel in Black. These pointed-toe heels are deserving of your fanciest frocks with their sparkly detail and ribbon tie. In iconic Review style this shoe features a pink sole with metal love heart detail.